Valentino‘s menswear collection takes an uncompromising approach to luxury and hard-hitting style. 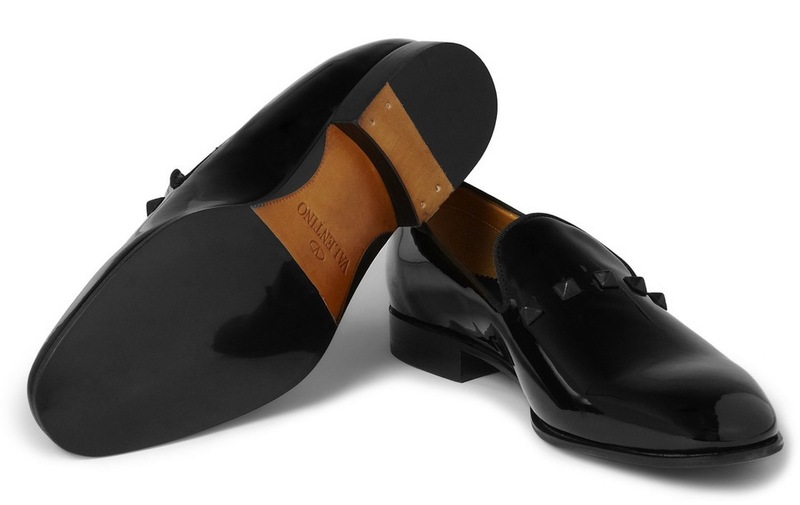 This pair of black patent-leather slippers fits the bill perfectly. Crafted in Italy, they feature signature studs across the front to add bite to evening attire ($958).